100% free of mineral oils and chemicals. 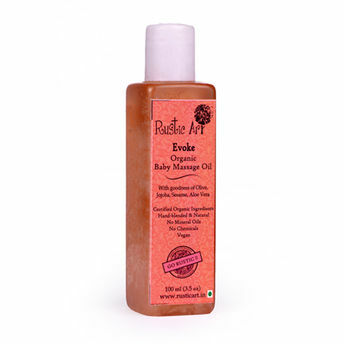 Say hello to soft, supple and nourished skin for your baby. 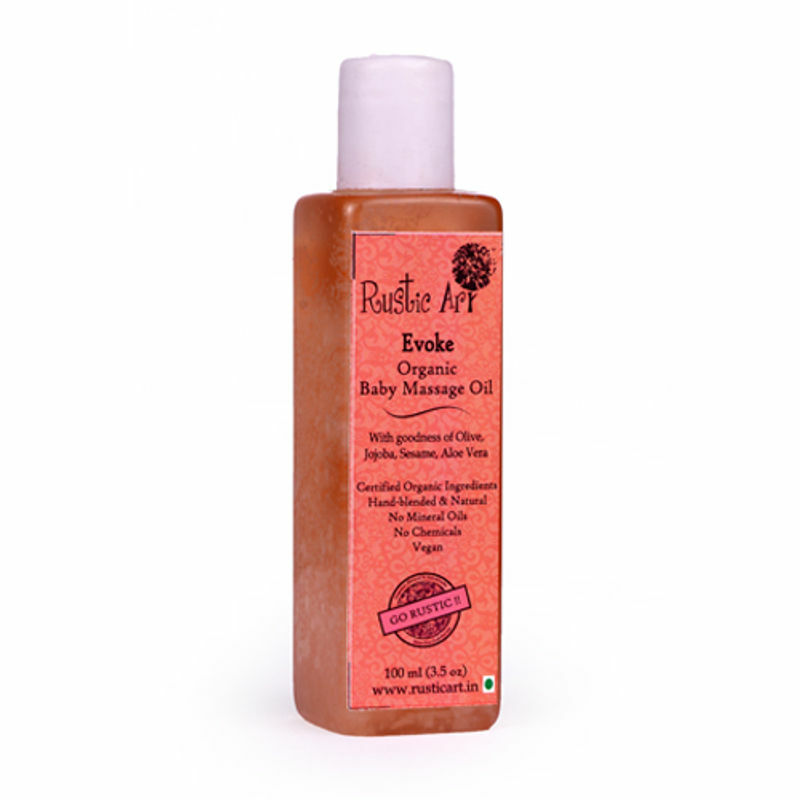 Rustic Art Organic Baby Oil is perfect for body & hair massage. Its regular use gives a lasting glow to the skin since it is completely natural & carries enchanting fragrance of organic essential oils. What's more, it can be safely used by adults too!